Given in a retreat-like atmosphere with optional yoga classes, short films, catered graduation lunch, discussions and, of course, group meditations. 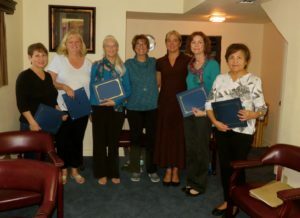 Next Class given by Kasey Claytor, Certified Chopra Instructor, at the Osprey Conference Room, Titusville, Fl. You will see a drop down menu with different prices for seniors, students, military, etc. Free e-booklet here describes the course in detail. The e-book contains an application too. A link to it all is on the store page. Complete that, and pay with the Paypal button on the store page. You can call 321-383-4005 during business hours or text 321-432-6626 for more information. Once registered, we will email further instructions! Welcome to our tribe!